Heading towards a business that is going to be operated online is a great idea according to the needs presented by the customers. 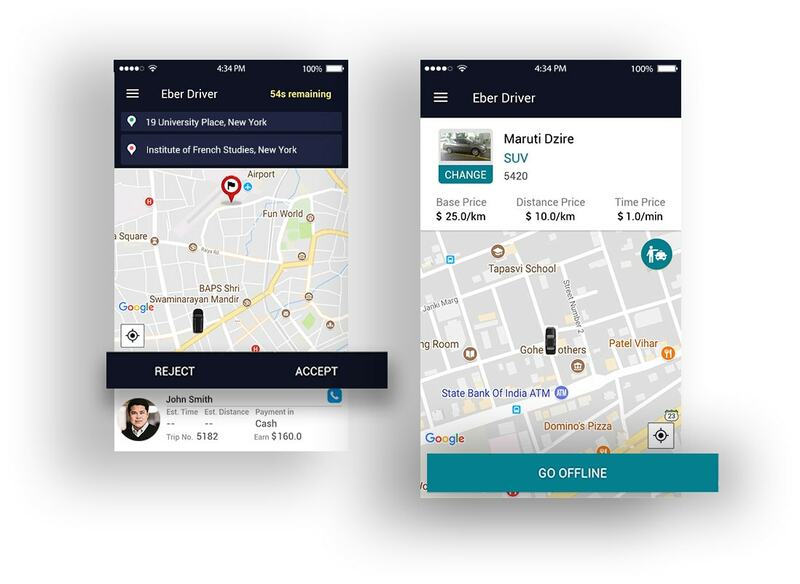 The hike in the domain of taxi apps is simply irresistible as most of the entrepreneurs are looking forward to starting an app-based taxi business with the help of a Taxi App Development Solution. The new age to operate the taxi business online with the help of an app is the ultra-modern approach for the taxi business. Are you also thinking for the same? Our Ace Taxi App Developer might be the one that you are looking for. Expand your business in other countries as well with our multi-country features that help to manage a multi-country business seamlessly. The fix fare rides are the best option for the riders to travel for the most popular routes of the city. Enable this feature for your app`s riders too. It is possible to integrate the popular local payment gateways with the taxi app. Popular local e-wallets can be also added to our flexible taxi app. The app can be launched in the preferred language of your target audience. We believe keeping the communication channels as easy as possible. Looking For Taxi Booking App Developers? Simple registration and login enable the rides to enjoy all the features of the taxi app solution. The rider can request for a taxi for an instant ride or schedule the taxi for the future riding. The riders request would be received by the nearest drivers and he/she would reach to the rider. As the driver arrives at rider`s current location, they can start the ride towards the destination. Once the ride reaches to the destination, the rider can do payment either online or offline. The rider can share their riding experience by providing the review and rating the taxi service. The riders can check the real-time status of the driver who is coming to serve with their taxi. Along with this, they can track them as well. The reviews and ratings help the riders to share their views about the service and the app where they can provide their honest feedback. The riders can save some of their favorite locations into their profile from where they can simply use it every time when they book the ride. It is easy with our Taxi App Development Solution to apply for the promos to get a different kind of benefits like deals and discounts. The social media login saves the time of the drivers and allows them to login into the driver app with just a single tap on the app screen. The interactive map is a fully functional and GPS-based feature of driver app. The drives can get the benefit of route optimization from here. Now there is no need to do any physical exercise to verify the documents and start the services. That can be done internally from the app. The navigations will show the real-time locations and it will help to navigate towards rider`s current location or their destination location. 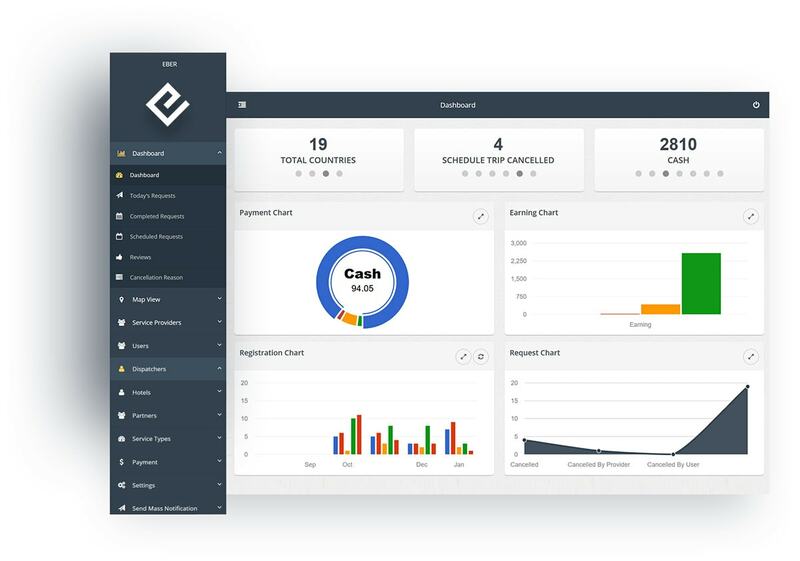 The dashboard is the heart of the admin panel from where the admin can manage all the business tasks with just a few clicks on the screen. The map view of the admin panel facilitates the admin to check the current location of each driver working with the app and the riders. The admin can explore the completed ride requests along with all its details. 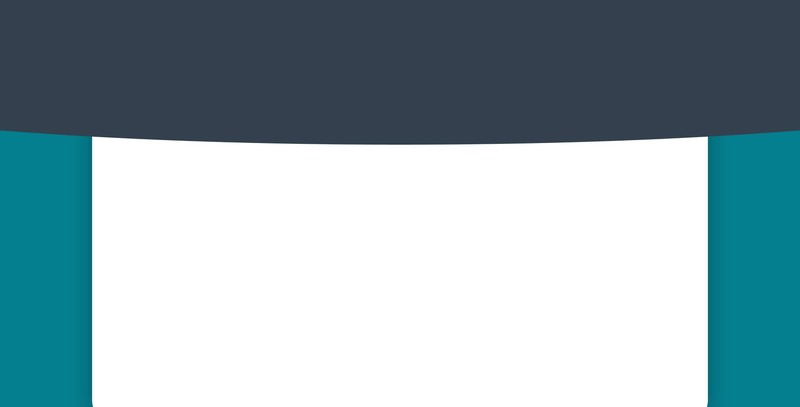 All the completed requests would be shown under this section. The online provider section of the admin panel shows the admin all the online service provides so that the admin can manage the rides. 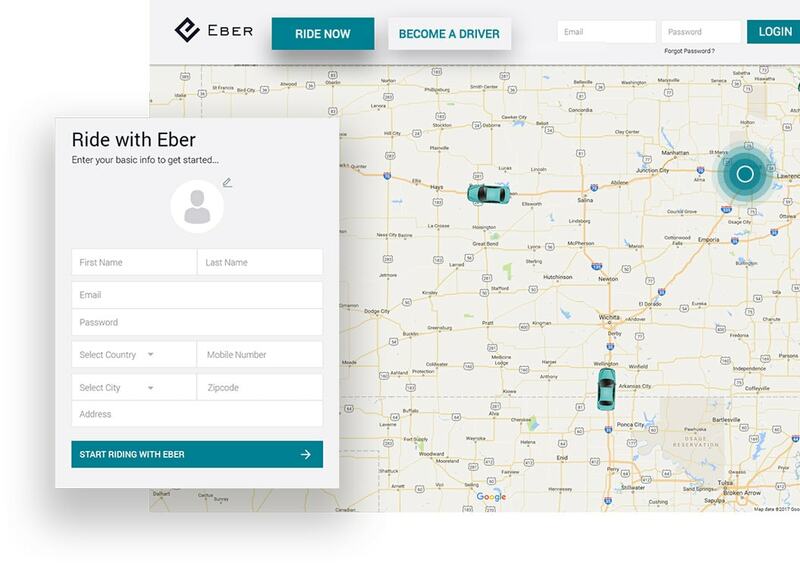 The dispatcher can explore the fare estimation for the route the rider has requested for and they can pass on the same information to the rider. Adding the bank details to the dispatcher profile facilitates the dispatchers to receive the payment directly to their personal bank account. 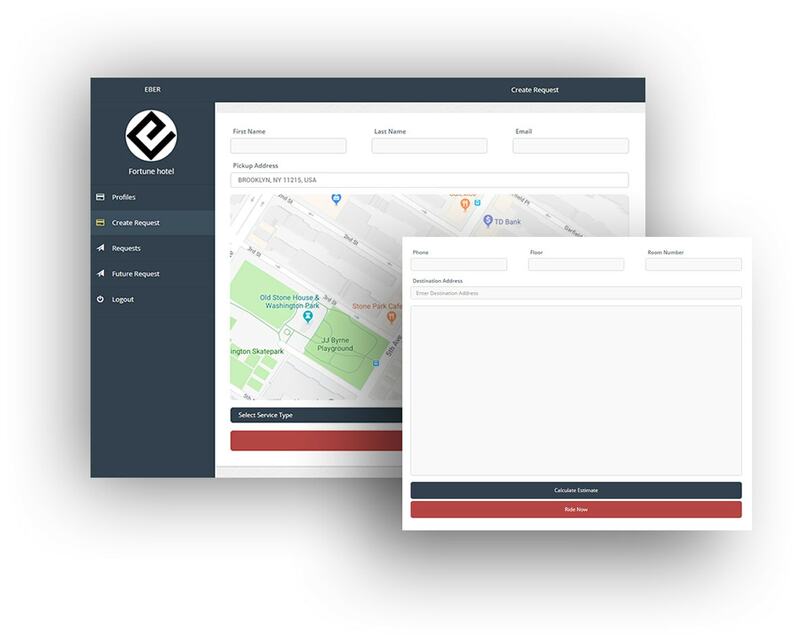 All the ride requests received and created by the dispatcher can be managed internally within the dispatcher panel along with all the information. 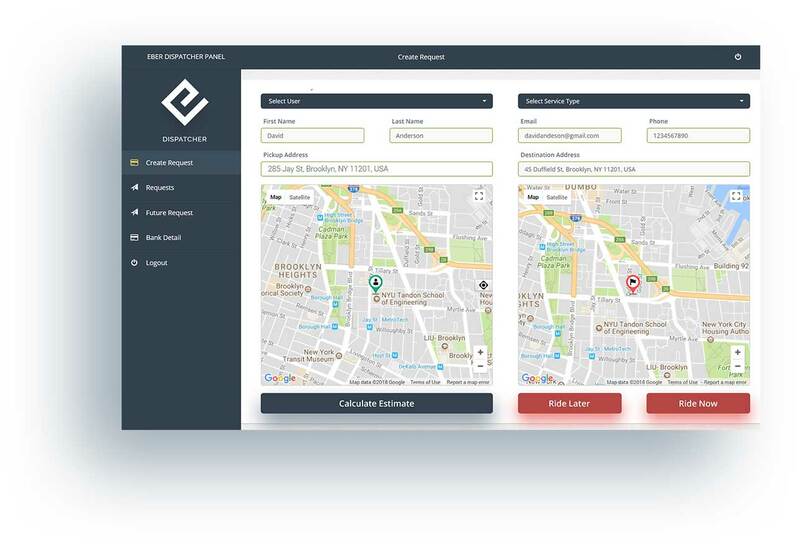 The future ride request creation is an added feature for the dispatcher panel from where the dispatcher can create scheduled ride requests. The riders have the advantage to do sort and search a different kind of ride data and get the results in ascending or descending order. The riders booking the ride from the rider panel need to do verification to confirm the ride request and that all would be done online. The riders can apply different data filters to sort the data and retrieve the exact data that they want from the panel in an effortless manner. The multiple payment options attached to the rider panel enables them to go with the most convenient option to pay for the completed ride. The bank details are necessary to be added into the driver profile in order to receive the payment directly in the bank account for the operate rides. 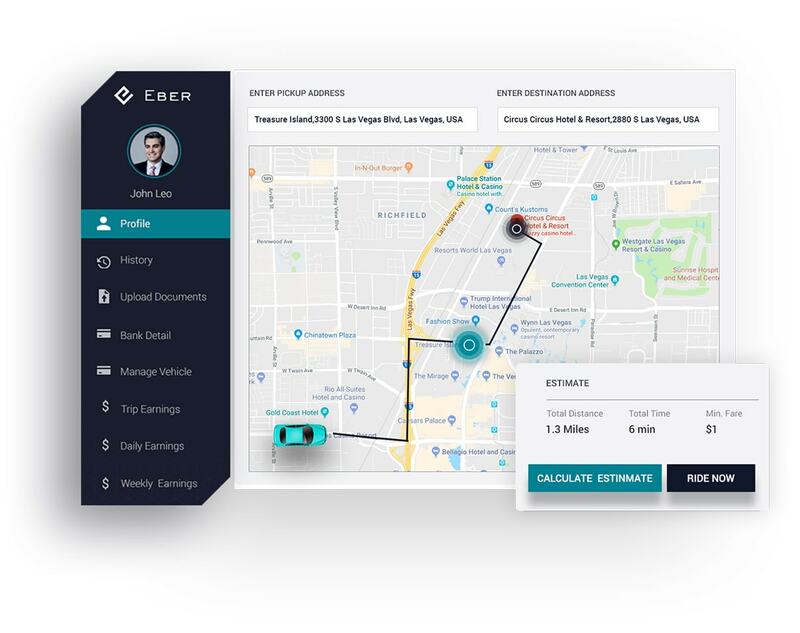 The drivers can check the earning details of each ride from the driver panel where they can analyze the earnings as well on the various basis. 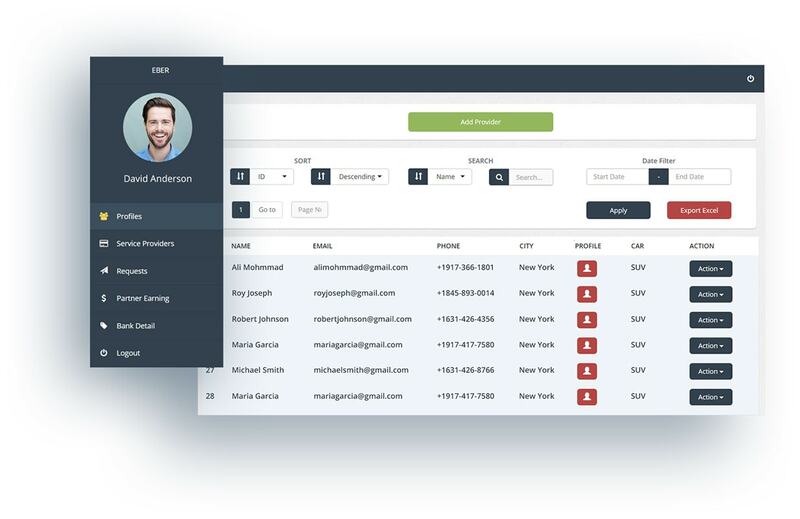 The drivers can manage the vehicles in service online within the driver panel. They can add new vehicles or remove any of them from here. The documents that are required to get the approval to start the service can be uploaded from the driver panel to follow the online verification. Each business partner can create their separate profile from the partner panel in order to lend a helping hand to manage the business. The partners can create different ride requests from the panel for the riders including the instant ride requests and scheduled ride requests. The service providers can be managed by the business partners from their profile where they can simply add the providers or can remove them. 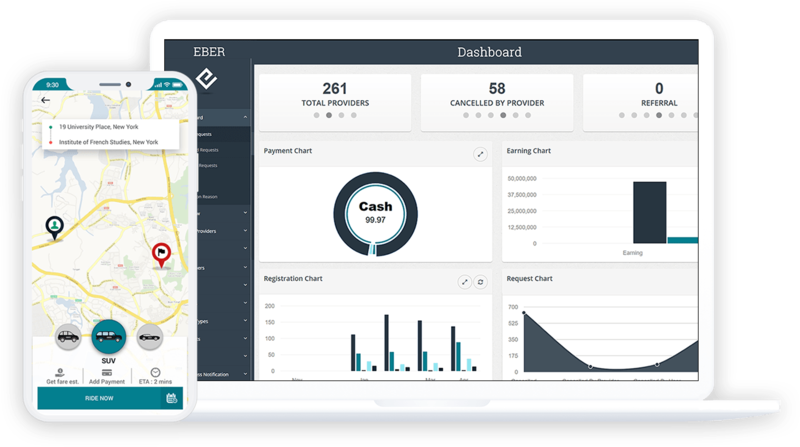 The earnings can be managed from the panel where each partner can explore the earning details and can analyze it with different aspects. The hotels can create the ride requests from the hotel panel by adding all the necessary information that is required to request for the taxi. The date filters help the hotels to explore the data by applying a different kind of filters. One of such filter in the hotel panel is the date filter. The hotels can create the scheduled ride requests from the hotel panel by clicking on the ride later button along with a simple booking procedure. The hotels can explore the data of ride requests that they have created from the panel. It is a special feature enables the hotel to do the analysis. How You Will Get The Exact App Of Your Dreams? Perfect analysis of your needs makes us understand what to include in the taxi app of your dream. Our creative designers set the theme and colors according to your brand identity along with a logo. The professional team of our developers will include all the futuristic features as per your needs. The squad of our testing team would fix all the bugs and errors so you get only the perfection. We would launch your app on different app platforms so you won’t need to worry about app launch.